Second church in the county to be targeted by vandals in a few months. 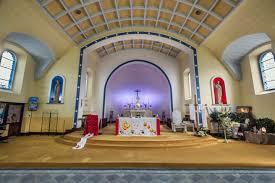 A further rise in Sligo’s crime rate has been recorded with damage to a church in the town. St. Anne’s on Cranmore Road was broken into and vandalised last night. It’s understood that the church was extensively damaged and items stolen during the incident. Gardai are asking for anyone with information to contact them on 071 915 7000. The attack on the church is the second in the county in a few months. A chalice and it’s believed some money was taken when the Star of the Sea Church in Rathlee was broken into in July. The chalice was later recovered.